My agency's account is due to expire tomorrow. Since we are a large organization, the money wont be "cleared" until tomorrow. What should our users experience in the meantime? 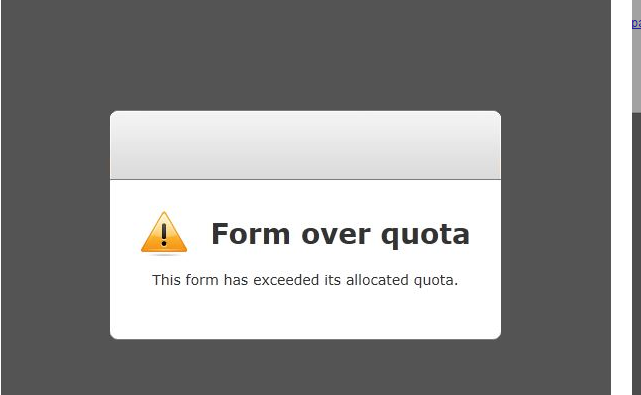 Once you go past the 100 form submissions that come with Free accounts, all your forms will be non-functional and show a message like this.